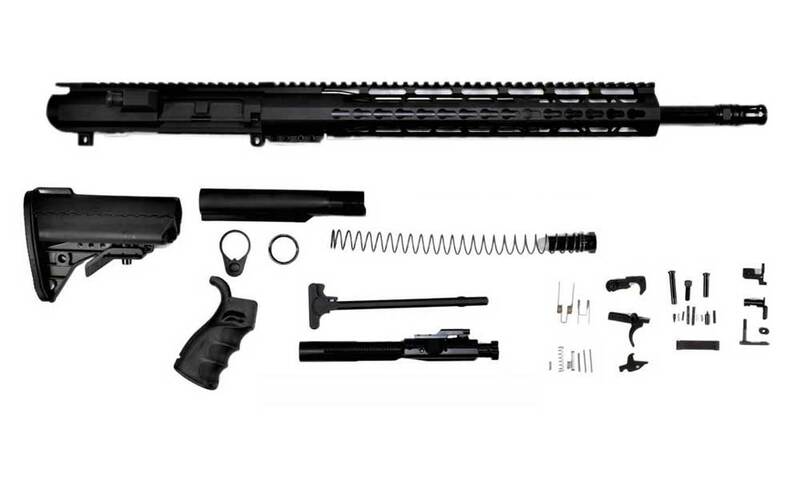 This AR-10 build kit includes everything you need for your next build, except for the stripped lower. It is crafted with quality materials and covered by our lifetime warranty, this rifle kit is an outstanding choice for any budget. CBC AR-10 rifle kits present you with an opportunity to acquire an AR-10 rifle at a discounted price by enabling you to take on the assembly process yourself. We provide a versatile selection of AR-10 rifle kits in multiple calibers and configurations. Our AR-10 rifle kits offer superior quality, dependability, and performance that will satisfy the most demanding shooter. The quality of our AR-10 rifle kit parts are backed by our Lifetime Warranty – if any component of a CBC rifle kit becomes defective, CBC will repair or replace it at no charge.